Picking out the perfect window treatments for your space is a major feat, but then you’ve got to figure out how to hang them. Collections Etc. 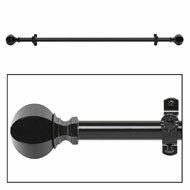 is here to simplify the curtain-hanging process with high-quality yet affordable curtain holders and hardware that make hanging your treatments a total breeze. 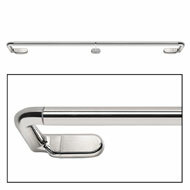 Not only is our curtain hardware easy to use so it saves you time and effort, but it’s also made for style. Shop options that work with your distinct home decor theme here. Whether you’re after traditional, whimsical, glamorous, rustic or antique curtain rods, you’ll find a style that plays to your special vision in this variety. With gorgeous finishing touches, like detailed carvings and crystal accents, these elegant accessories will help complement and play up the design of your window treatments and the whole room. 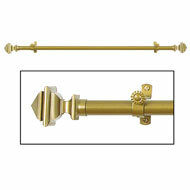 We have options in a plethora of finishes and colors at Collections Etc. 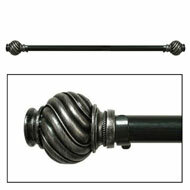 Start here if you’re looking for antique white, silver or gold curtain rods for your well-appointed living space.